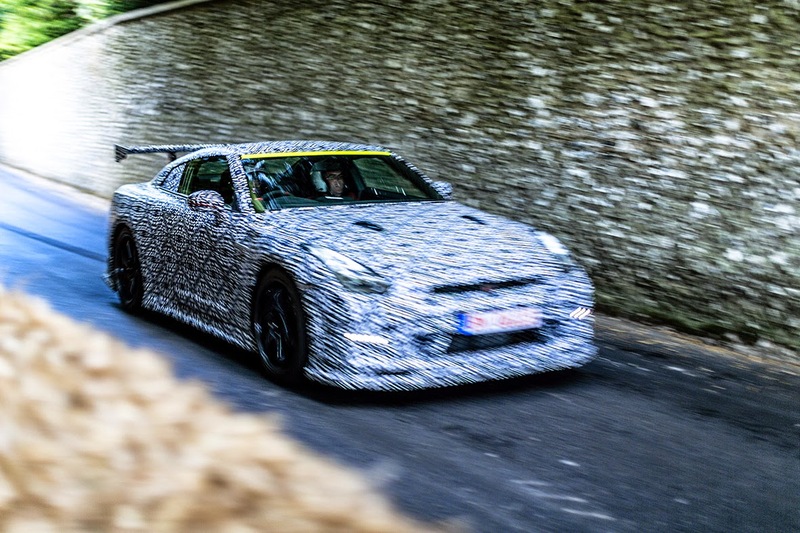 Gamer-turned racer Jann Mardenborough smashed the supercar record for the Goodwood Hillclimb with a sensational performance in a dramatic Michelin Supercar run at the Festival of Speed on Saturday afternoon. Welsh wizard Mardenborough, whose only race experience until winning the GT Academy in 2011 had been of the online variety, was at the wheel of a Nissan GTR-NISMO ‘Time Attack’ and assaulted the 1.16-mile Hillclimb in a staggering 49.27 seconds, his run edging out the Noble M600, driven by touring car legend Anthony Reid. Lexus, Ferrari, Lotus, Porsche, McLaren, Audi, Jaguar, Pagani, Bentley, Maserati, BMW, Rolls-Royce, Sin, Mercedes-Benz, Alfa Romeo and Ginetta were all represented with ex-Formula 1 racers Bruno Senna and Rupert Keegan and sportscar legend Derek Bell all taking a turn behind the drivers’ seat. The Supercar Run was not the only highlight on Saturday. Fresh from his pole position at last weekend’s Austrian Grand Prix, Felipe Massa wowed the crowd by driving Damon Hill’s 1996 Formula 1 World Championship-winning Williams FW18 and 2009 champion Jenson Button did likewise in a McLaren MP4-26-Mercedes-Benz. The Forest Rally Stage presented by Skoda featured former World Rally Champions Sebastien Loeb – driving one of his title-winning Citroen DS3 WRCs – Hannu Mikkola in an Audi Quattro S4 and Bjorn Waldegard in a Toyota Celica, while two-wheeled legends Wayne Gardner, Giacomo Agostini and Dougie Lampkin grabbed plenty of attention on the Hillclimb and the GAS Arena respectively. Celebrity guests included Jamiroquai frontman Jay Kay in the ultra-special LaFerrari, Sir Chris Hoy driving a Nissan in the Supercar Run, former Spice Girl Geri Halliwell, current England international footballer Glen Johnson, TV presenter Jake Humphrey and rockstar Chris Rea while the traditional Festival of Speed Ball was set to round out the day’s proceedings with a special performance from The Beach Boys.